Having us pick you up upon arrival is easy! Simply call 386-255-5555 or 888-333-3356 and please provide your name, flight arrival time, airline, flight number and phone number. We will track your flight and be by the baggage area with a sign with your name on it awaiting your arrival! PLEASE CALL AHEAD FOR AIRPORT PICK UPS. SAME DAY TIME CALLS OR MONTHS AHEAD! 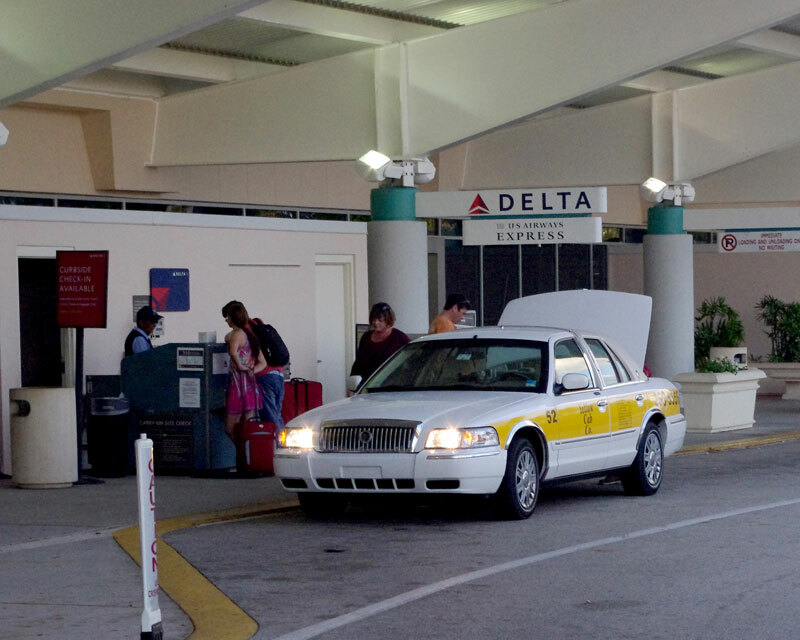 15% discount for pre arranged pre paid pickups from Daytona (DAB), Orlando (MCO) and Sanford International Airports. 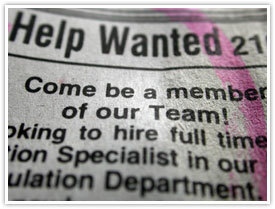 Call 386-255-5555 or 800-333-3356. Is it becoming unsafe for you or your loved one to be driving? Maybe it is time to consider giving up the car and using a taxi. We can help. 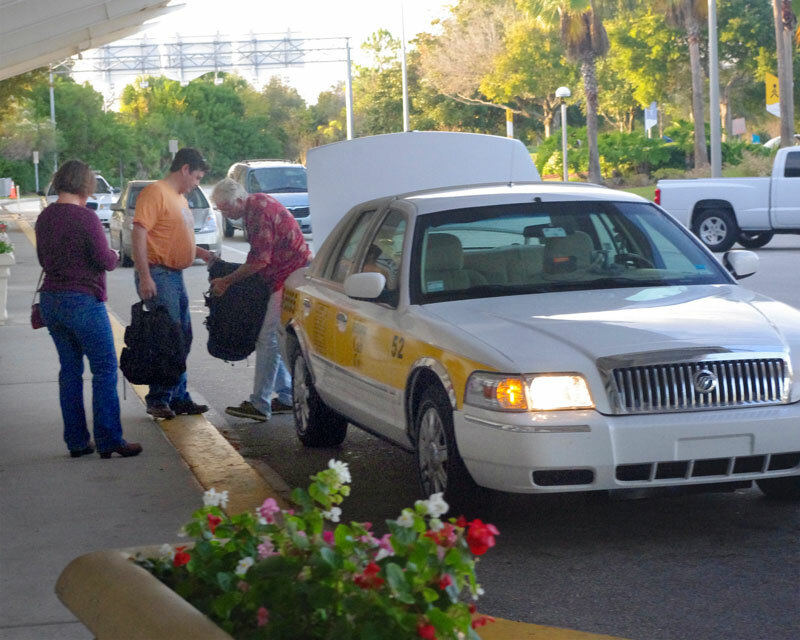 Yellow Cab Co. specializes in providing service to senior citizens. 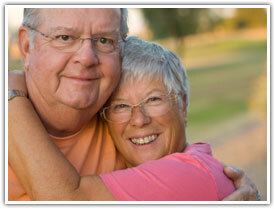 We are the service provider of choice at many of the senior centers and nursing homes. 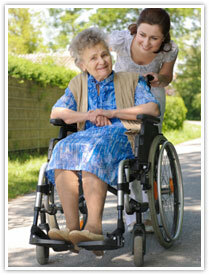 Our drivers are use to providing the extra care needed for many elderly people. We also provide a 10% discount for senior citizens. Daytona Beach Is home to great attractions such as the speedway, great beaches, shopping and much more! We are also close to Ponce Inlet, Kennedy Space Center, Disney & St. Augustine just to name a few. Leave the driving to us, we will get you there while you relax and we will pick you up after your fun-filled day, no worries! 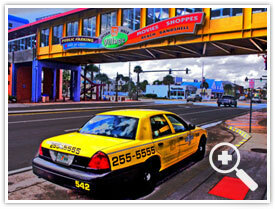 Yellow Cab Co. offers the option of "time calls" for the convenience of our customers. The vast majority of the time we are able to respond as requested but the acceptance of "time calls" does not constitute a guarantee of service at a specific time. We cannot be sure of traffic and weather conditions nor of equipment failures or staff inadequacies that may result in long delays or our inability to provide service in a timely manner. Simplify your billing and make travel safe and convenient with a charge account. Yellow Cab offers corporate accounts to businesses of all types and sizes. If you open a corporate account with us, you can count on exceptional service and a system that streamlines cab orders and billings for the rides taken by your employees and guests. Our monthly invoices allow you to track each user's name and charges related to their individual trips. To access cab rides, our office will issue your company numbered vouchers for distribution to your employees and guests (as you see fit). The taxi rider gives the voucher to the cab driver as payment for his or her trip. Or the rider can just give the account number to the driver who will fill out a voucher with pertinent information on behalf of the rider. The vouchers are good for any trips with Yellow Cab taxi cabs. 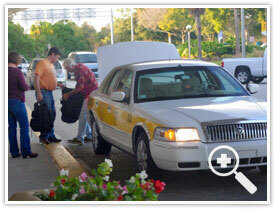 Yellow Cab has the largest number of taxi cabs available for your taxi service in the Metro Daytona Beach area. 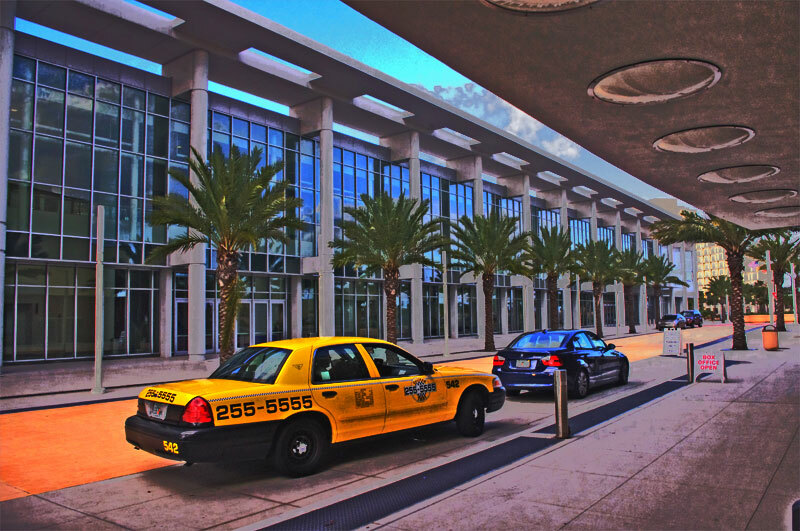 You will be accessing a taxi service that is committed to providing the most reliable, prompt and courteous taxi cab rides in this geographical area. Your account is given the highest priority in our dispatch system, and when you make a reservation, all of the information is stored and recorded. A detailed invoice is billed monthly to your accounting department including the actual vouchers used. 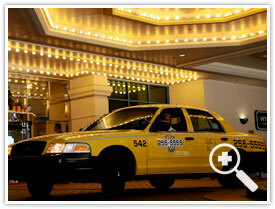 Yellow Cab Co. has many special services that we provide to the riding public. 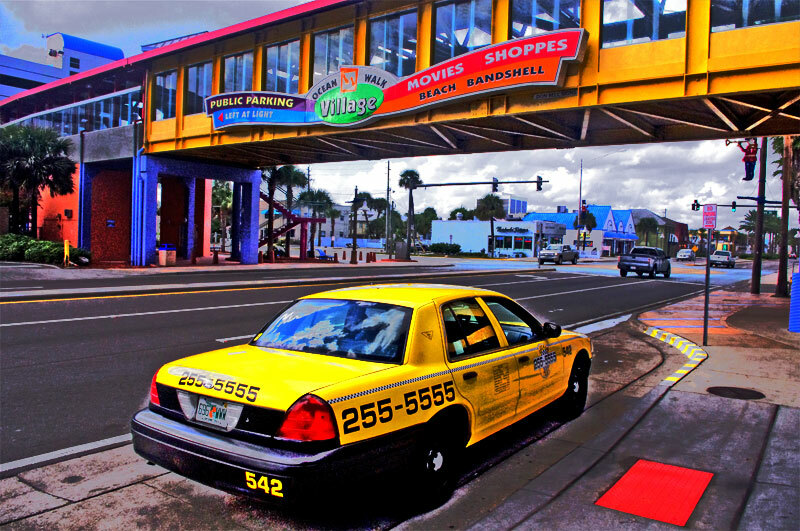 At Yellow Cab we are always looking to improve service to our customers, and to the Metro Daytona Beach area. If you have any specific transportation needs which are not addressed by any of the programs listed above, please contact Frances King or call 386-547-6400. We will be happy to tailor a transportation program to suit your needs. 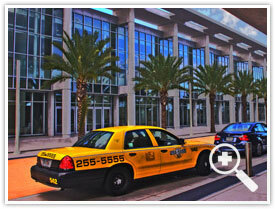 Yellow Cab Co. would be delighted to assist you in planning your next meeting or convention in Daytona Beach. We know the hard work that is involved in coordinating even the smallest of trade shows, and between scheduling, rooms, food, entertainment and everything else, the last thing you need is to worry about transportation. Yellow Cab often transports groups of people. Perhaps your group has been celebrating and nobody should be driving, or you are traveling somewhere that parking will be a problem. 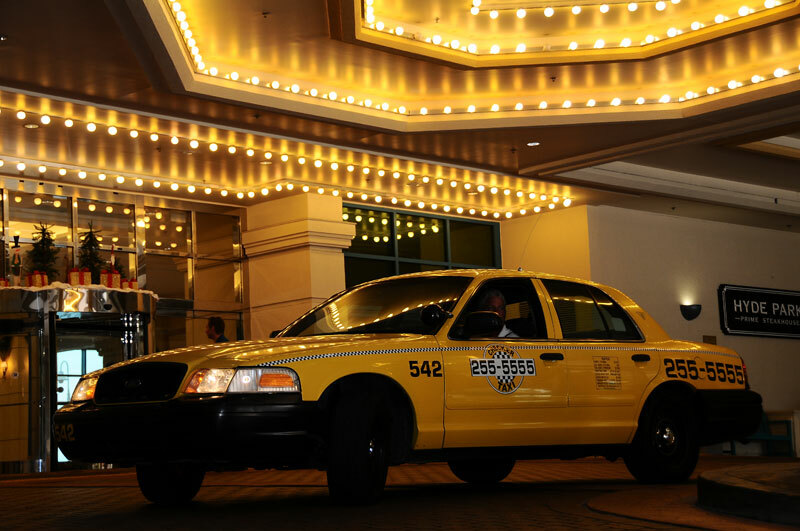 Using a Yellow Cab is a great alternative for your group. We can send as many cabs as you need! Need a van or a mid size bus call us we can fulfill your request. Want to get that package delivered immediately? Yellow Cab is the answer! We pick up your package, and take it straight over to the recipient. No stops. No putting your package in another vehicle that will get it there in 3 hours, just immediate service. 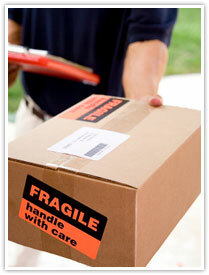 Regular delivery companies charge a huge extra fee for immediate service. With Yellow Cab, it is what we do all the time, no extra charge. Don't let your guests Drink and Drive! Get your guests home safe with our SecureRide program. Provide a FREE TAXI FOR YOUR GUEST at your wedding, corporate event, golf tournament, holiday party or any other special event. 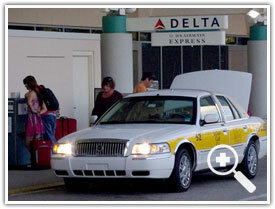 You get unlimited use of 1 Private Dedicated Taxi. Your guests do not pay a fare. Your dedicated private taxi will give them a FREE ride. Minimum 24 hour advance reservation required. Stand up against breast cancer simply by sitting down—in a specially designated “pink” vehicle operated by Yellow Cab Co.
For the entire month of October, Yellow Cab Co. has two of its vehicles in a pink color, and will donate $1 from each fare toward “American Cancer Society’s “Making Strides Against Breast Cancer” in the fight against breast cancer. There is no additional cost to passengers, and drivers are not allowed to accept donations. Yellow Cab of Daytona Beach strives to be a good corporate citizen by supporting local charities and organizations through donations, special rates and/or trade. We will donate taxis cabs, shuttle vans or mini buses. Our affiliate company, Crown Limousine will also provide limousine transportation for many charities in the Metro Daytona Beach area. No phone calls please. We will review each request but not all requests can be granted. You supply the cars, minivans or town cars. We'll show you how to get started. Come and see for yourself, why we are the fastest growing transportation company in East Central FL. 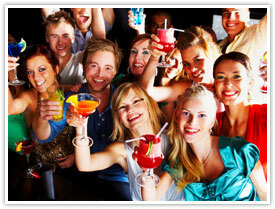 "I used Crown Limo last weekend for a bachelorette party. I was nervous about hiring a limo service that I hadn't used before. I will ALWAYS use Crown after this. Our driver, Bob, arrived early to pick us up, greeted me by name, and was very patient while we ran around unorganized, gathering things to go. We made several stops throughout the night, and each time he dropped us off, or picked us up, he took a head count to make sure he had the group. The limo was clean, in excellent condition. Bob was very patient with a large group of rowdy girls. He drove carefully, never speeding, got us everywhere on time. He was never more than 4 minutes away when we'd call him to take us to the next stop. It was a great experience, and I highly recommend Crown Limousine." "I wanted to let you know that Shirley the driver of cab 18 is awesome. I left my wallet in her cab after reaching my destination; she called me and brought it to my work later in the day. She saved me a great deal of grief of having to cancel and get new licenses and credit cards. THANK YOU Shirley!"